I live in Indiana and have twenty four years of experience concerning several areas with Do-It-Yourself maintenance and repairs. 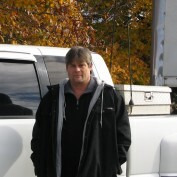 I have in depth knowledge of computers, music and audio recording to auto / truck repair, commercial transportation and the DOT- along with home repairs, remodeling, electrical, plumbing and even lawn and garden. I have learned through first hand experience that knowledge can give everyone the power to save time and money.